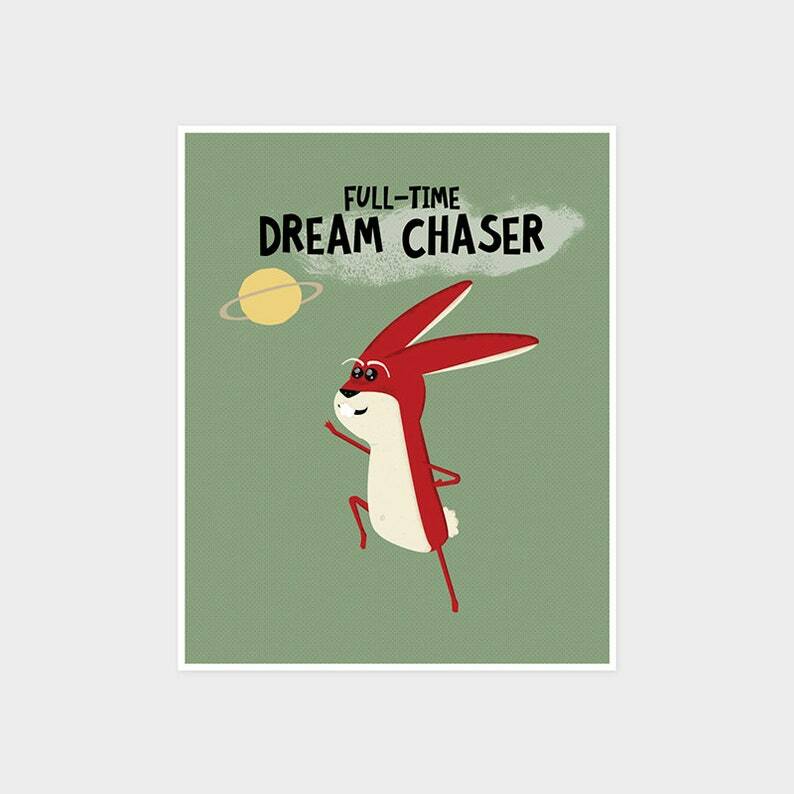 Enter the title you want for your rabbit; for example, instead of our default Fill-Time Dream Catcher, you could have it replaced with a name, wordings of your choice or leave out the words altogether. The print will otherwise be shipped as it is. What is Red Rabbit Republic without some quirky bunnies hopping about, eh? :) This bunny is a Full-Time Adventurer, one of the four from our RABBITS COLLECTION. The other three in this collection are Full-Time Hiker, Full-Time Dream Chaser and Full-Time Foodie. Unique, whimsical and with a touch of retro, this print will appeal to the young and young-at-heart. It is not only a perfect decoration for the children's room, baby nursery, home and office interiors but also an ideal gift for the bunny lover in your life. Perfect for an Easter gift, too! Printed on fibre-based 310gsm German Etching — an acid-free, archival fine art paper of museum standard that lasts for centuries. The German Etching textbook definition of what you expect in a traditional European art paper — instantly recognisable as the classic it is. There's a reason this style of paper has been extremely popular in the art world for over 500 years now - the fine grain texture adds class and substance to the image, whilst not impairing detail in any way.